The sunshine arrived this week, and it’s been gently warming the soil and luring some of the spring plants out of winter hibernation, and for some, this has been the signal to open their flowers. I even cut the back lawn for the first time since about September. Now that my shed is pretty much in order, I can begin using it as a space to sow and harden off (that means, getting them used to cooler temperatures) plants. My Broad Bean ‘Crimson Flowered’ plants have already been through this process and are doing well in their new raised bed outside. Having saved the cardboard toilet roll middles over the last few months, I have collected these up, filled them with a multipurpose compost and sown a French Bean ‘Blue Lake’ seed into each one. Above: Tea, Shed, Toilet Rolls, Beans and Compost – a winning combination. 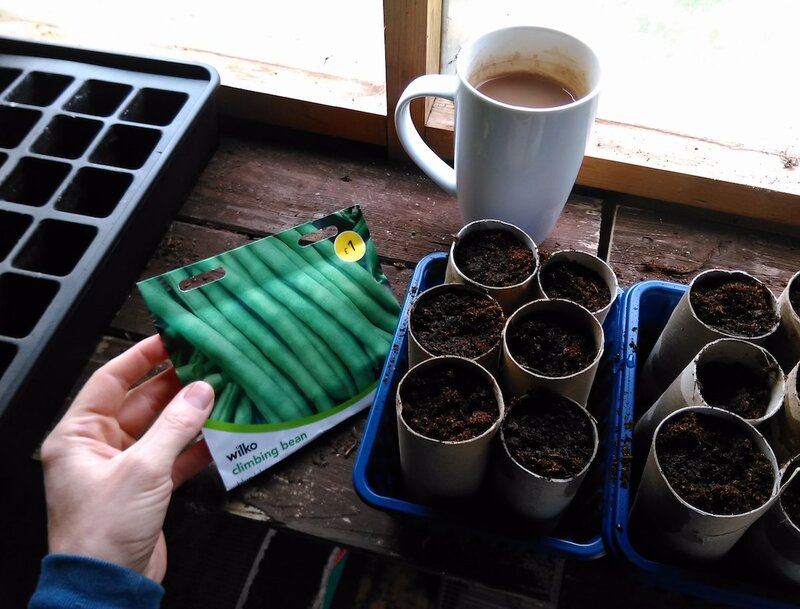 French Beans (like Peas and Sweet Peas) like to send their roots down deep, and therefore these cardboard tubes are perfect for them to grow in over the next few weeks. They won’t go out until late May, but this should give them a perfect start, and the cardboard tube will rot down when it gets planted out with them. Meanwhile, the Crocuses and Tulips are out, helping to provide the early-emerging bees with food. I’ve seen a few bees around so far, so hopefully the bulb flowers are going to help sustain them long enough for more flowers to open. 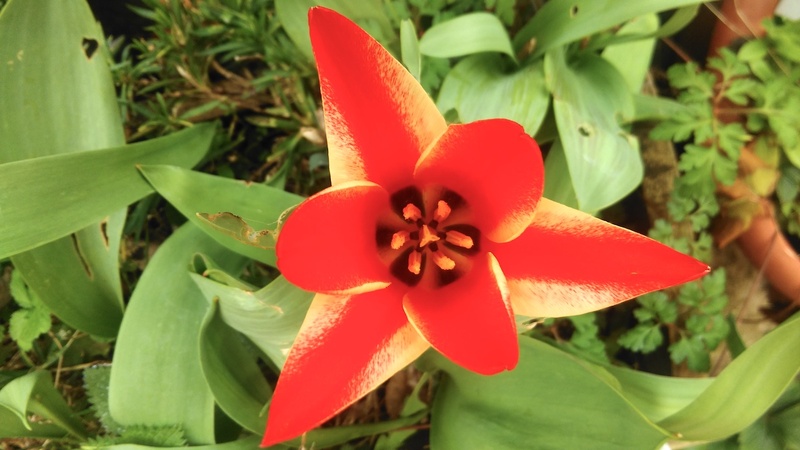 The first tulip opens its flower. This tulip is one of a trough of Tulip ‘Mixed Garden’ bulbs that I planted up last year. It’s the first in the trough to open, but the others (which are bigger) should be along soon. I also found a (what i think is the last of the) Erin seed kits that I was given back in about 2011. This time, the kit is for Rocket, so I have once again opened the kit up and sown the seeds that should be sown ‘by 2012’. Let’s see how this goes! 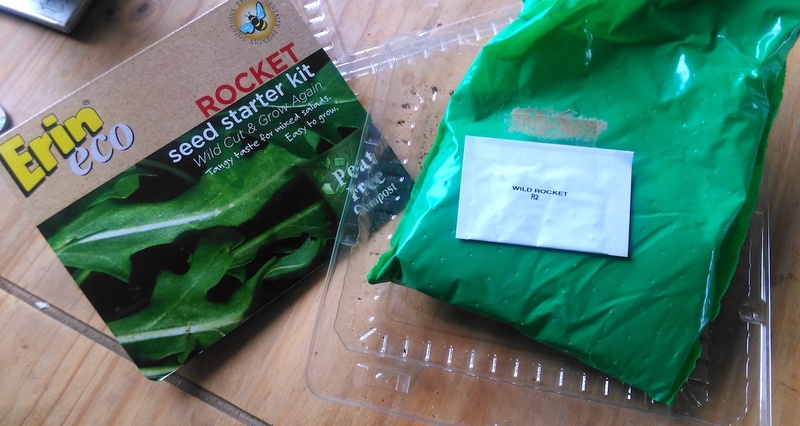 An old Erin Wild Rocket seed kit – should have been sown ‘by 2012’. Last time I sowed an old Erin seed kit, a forest grew, that gave me lettuces throughout the summer, despite being 5 years beyond their ‘sow by’ date. Sometimes nature deserves a chance, as it has other plans! I think some wetter weather is now on its way, but I hope that you’ve been able to do something in your garden. I know that I shall be busy pricking out seedlings over the next few days. As ever, thank you for reading, and happy gardening!